The Whitney Museum of American Art is pulling out all the stops for its forthcoming Andy Warhol blockbuster, opening in November. Andy Warhol—From A to B and Back Again (12 November-31 March 2019) will take over more than half of the Renzo Piano-designed museum downtown—almost the equivalent of its entire former home in the Breuer building, says the Whitney’s director, Adam Weinberg. The first Warhol survey exhibition organised by a US museum since 1989, it will travel in 2019 to the San Francisco Museum of Modern Art and the Art Institute of Chicago. Rising to these challenges is the Whitney’s deputy director for international initiatives and senior curator, Donna De Salvo. Having worked with Warhol on two shows at the Dia Art Foundation in the 1980s, De Salvo is “now among the last curators who actually had a direct connection” to the artist in his lifetime, Weinberg says. She also organised the Tate Modern iteration of the major touring exhibition in 2001-02 (presented at one US venue, the Museum of Contemporary Art in Los Angeles). De Salvo’s expertise informs the Whitney show’s “surgically selected” checklist, for which she coaxed often large-scale and fragile pieces from lenders worldwide, many of them private collectors, Weinberg says. “She makes the case for every single work.” Although the museum has more than 100 Warhols in its own collection, only “a very small percentage” will be represented. The exhibition will more than fill the 18,000 sq. ft column-free gallery on the fifth floor. Marshalling more than 350 works in all media of Warhol’s practice—paintings, drawings, prints, sculptures, films, videos and photographs—by chronology and theme, the show argues that the artist’s career did not decline after he survived Valerie Solanas’s assassination attempt in 1968. “A lot of people thought he had run out of gas, that after the 60s he was repeating himself,” Weinberg says. At the Whitney, however, his creative output will appear as a “continuum”, from the commercial illustrations of the early 1950s through to the overlooked late works of the 1970s and 1980s, which revisited and extended many of his iconic motifs into abstraction. Counter to the artist’s own assertion in 1967 that there was nothing beyond the surface of his work, the show will reread the 1980s black-and-white paintings based on newspaper advertisements and Cold War maps in the light of Warhol’s engagement with politics and the New York Aids epidemic. 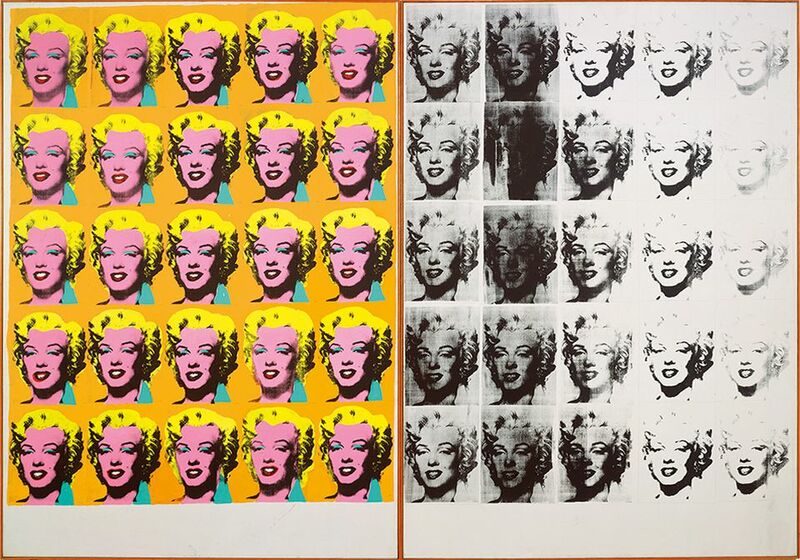 Even his 1960s Pop silkscreens of figures such as Marilyn Monroe and Elvis—apparent celebrations of celebrity culture—will be presented together with the Death and Disaster series of the same years. Warhol has “perennial relevance” in today’s age of digital technology and social media, Weinberg says. Decades before Instagram and the selfie, his time capsules, photographs and films sought to “collect the world” and explore “permutations of the self”. One section of the show will array 75 portraits of Muhammad Ali, Liza Minnelli and others in an Instagram-like grid on the gallery walls. Visitors to the exhibition will be free to take their own selfies with most of the works, Weinberg says. “How could you not allow people to take photographs in a Warhol exhibition? It’s going to be selfie-central.” He hopes the show will make a younger generation “aware of where a lot of this came from”. The national tour is sponsored by Bank of America; Calvin Klein and Delta Air Lines, among others, are contributing additional support for the New York leg of the show. Anticipating its blockbuster success, the Whitney will make advance tickets available online from August.